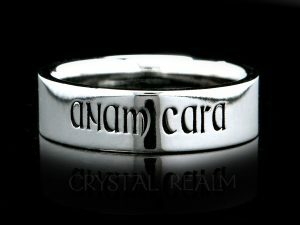 Inscribed in a Gaelic medieval font, the Gaelic words, ‘anam cara’ are lovely on a 14K white gold posy ring. 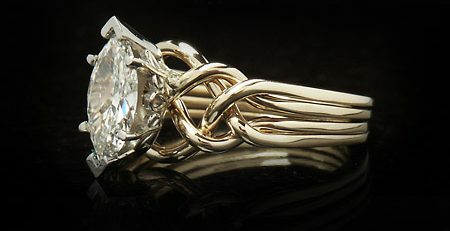 The words meaning ‘soul friend’ are engraved twice on the outside of the ring. Our client wished to have a “soul friend” posy ring with specialized lettering and a heavier weight than the one we have long offered. 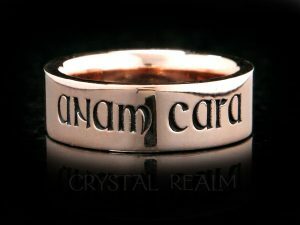 She ordered two sizes of the ring, and Mandira provided her with a document with multiple Gaelic and Medieval versions of the Gaelic words, “anam cara,” so she could choose the lettering she preferred. The results are in the image above. 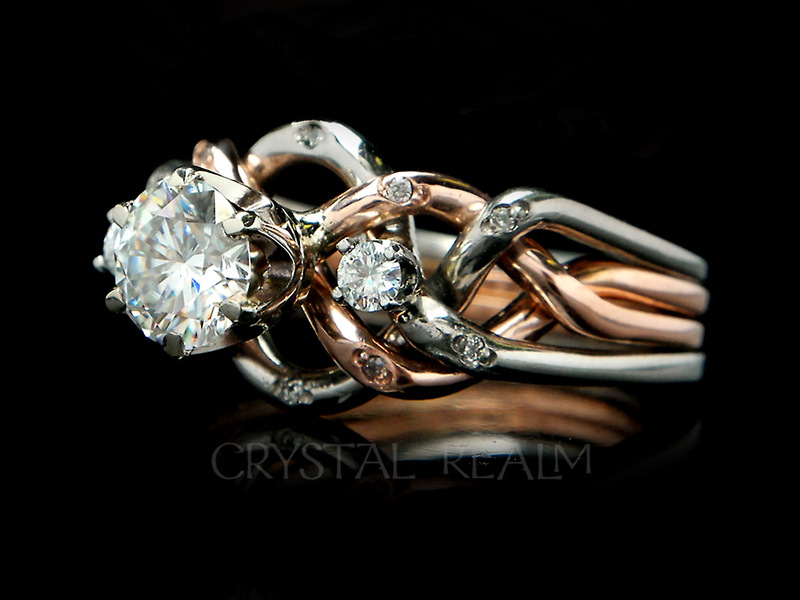 Then we produced the ring in 14K rose gold for another client who selected the same lettering. 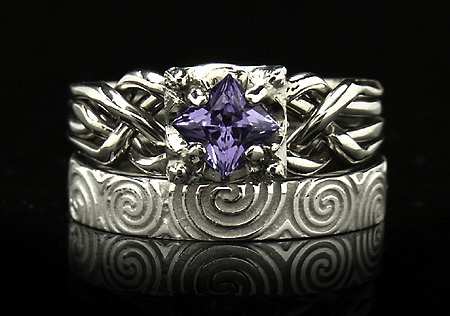 We think all the rings turned out beautifully. 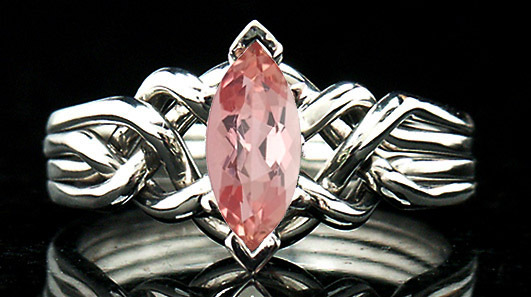 These rings are flat on the outside, comfort fit on the inside, and are substantial at 6mm wide (pictured) and 1.85mm thick. This width and weight works well for both men and women. 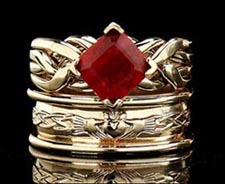 These rings are available in widths from 3mm to 7mm and ring sizes 4-14. 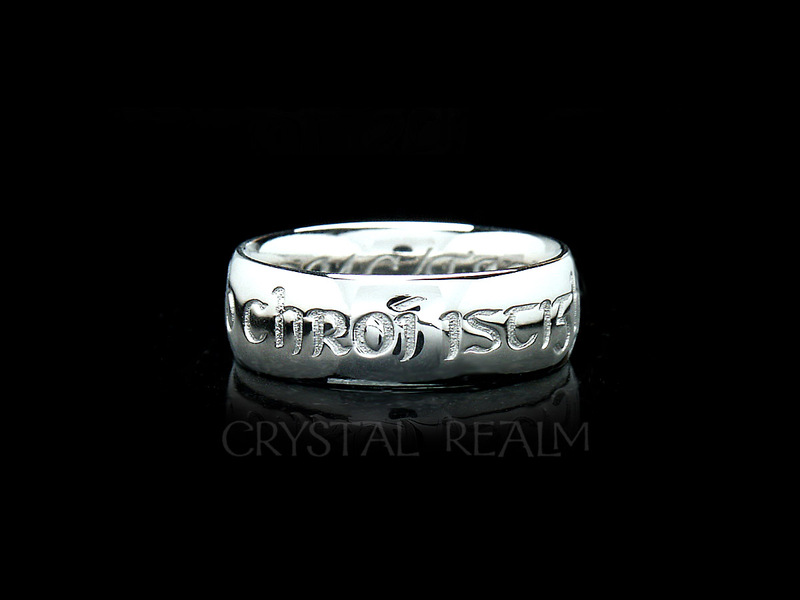 The letters are engraved and filled with a durable black fill for lasting beauty. 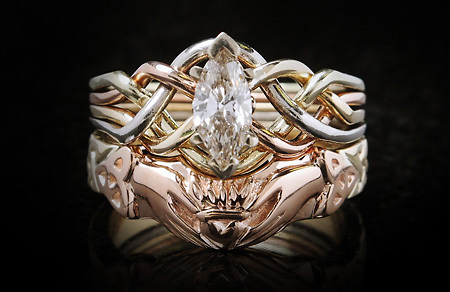 An ‘anam cara’ posy ring in a Gaelic medieval font is beautiful in 14K rose gold. 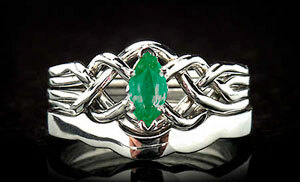 The Gaelic words, ‘anam cara,’ meaning “soul friend” are inscribed twice upon the outside of the ring. 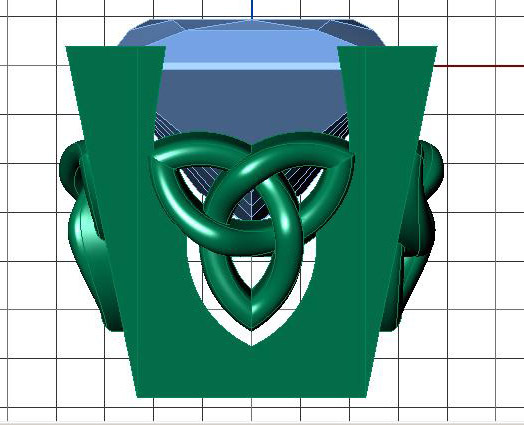 We can make these rings in a flat-inside, flat-outside style more inexpensively or a domed-outside, comfort-fit inside at greater expense. Please feel free to contact Mandira for a free consultation. 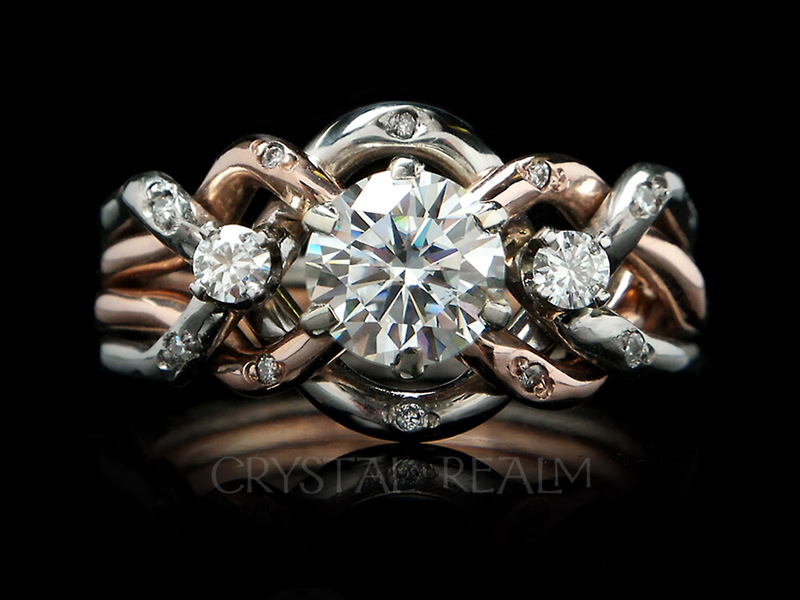 All custom rings are available in 14K and 18K yellow, white, and rose gold, palladium, and platinum. 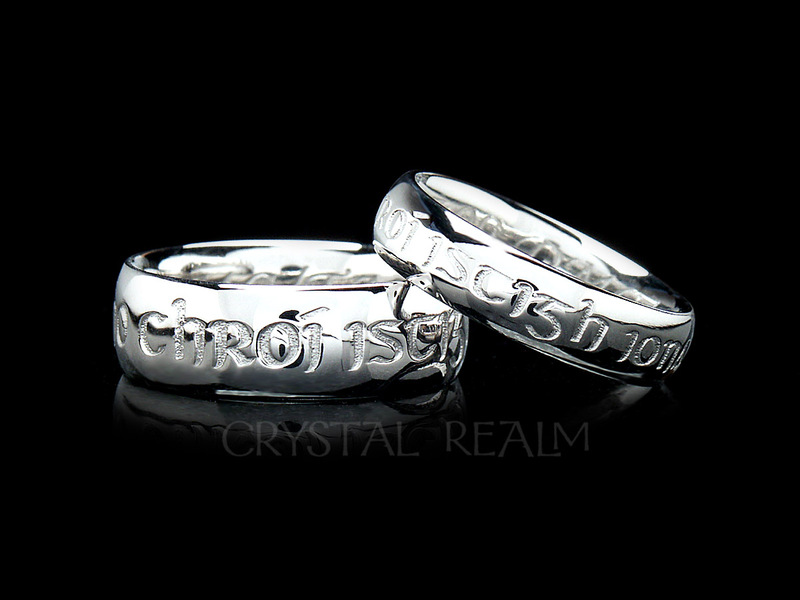 If you wish to have a ring made that has your choice of words and lettering, please get in touch! 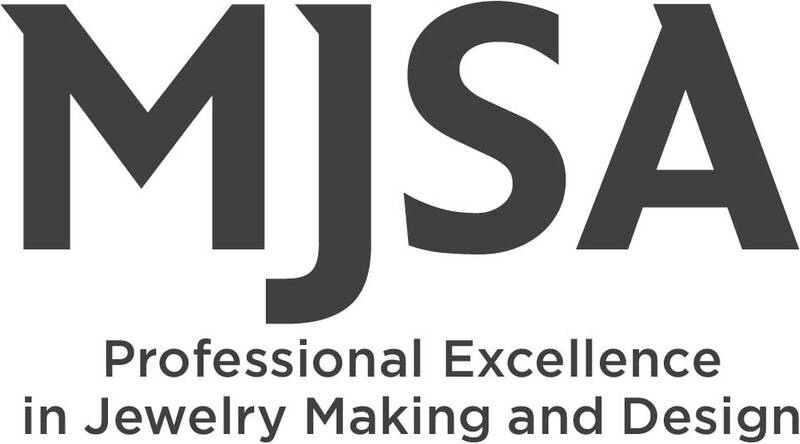 For a free consultation, you may contact us by email or phone 1-866-573-7381 (toll-free from the U.S. and Canada), and Mandira will work with you to select your options, ring style, words, and lettering style.